This rose fragrance diffuser set has a rose fragrance and gives a relaxing calm feel, for your bathroom, living room, bedroom and more. 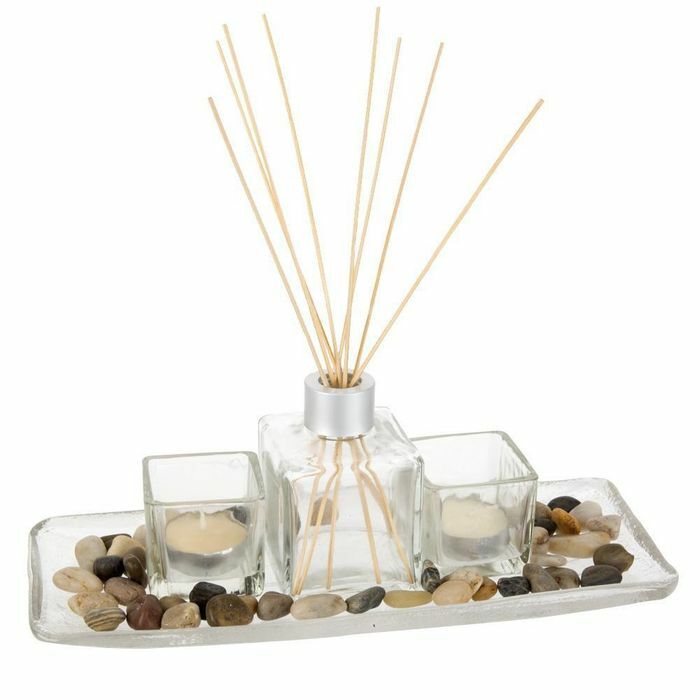 Includes: 1 glass diffuser, 8 plant stalks, 1 glass plate, 2 glass holder, 2 tea lights and natural stones. Please note the scented oil is not included. We have 141 Brooklyn Trading deals and 10 Brooklyn Trading discount codes on Latest Deals.